» Diving in Potable Water Diving in Potable Water | Divex Marine Inc. Diving in potable water is definitely not as simple as it looks. 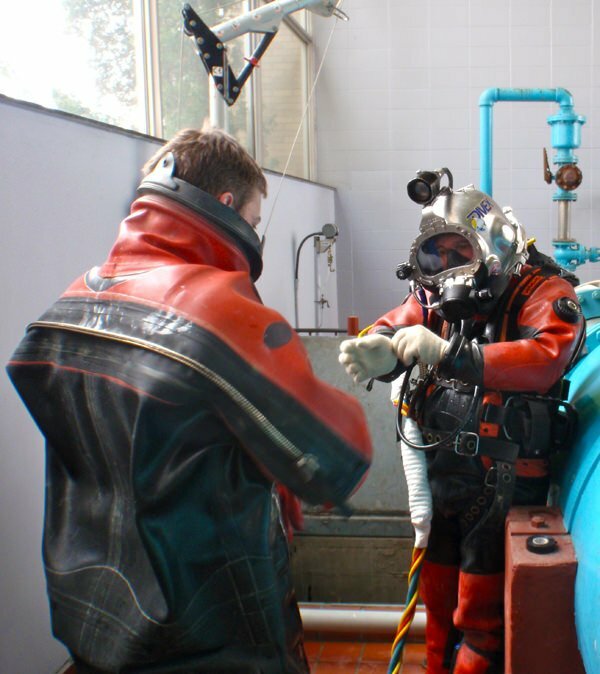 Divex Marine pays particular attention to health by diligently applying the American Water Work Association (AWWA ) diving procedures. 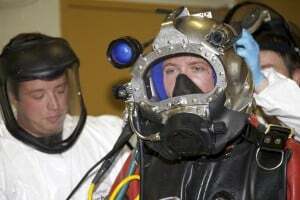 Divers are equipped with, among other things, a vulcanized dry-suit and sterilized stainless steel helmet used solely for diving in potable water, to avoid contaminating the network. Every necessary precaution is taken so that operations are carried out in a safe and healthy way. Our divers’ training and specialized equipment allowed us to complete several projects in potable water treatment plants. 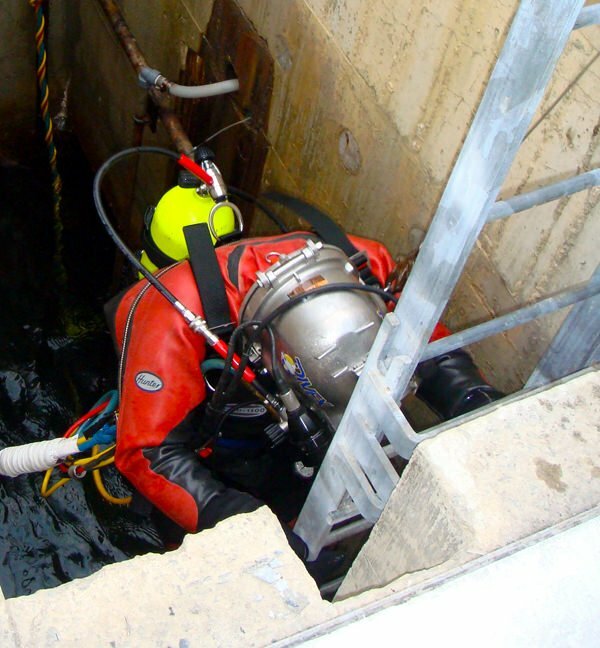 Diving procedures in this context meet AWWA standards. 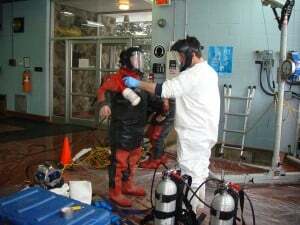 Cleaning and sediment removal from drinking water reserves and towers. Do not hesitate to contact us. Our Professional Team will meet your needs. 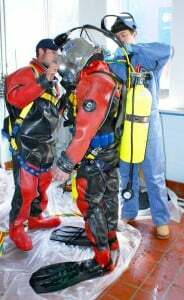 © 2018 All rights reserved | Divex Marine inc.